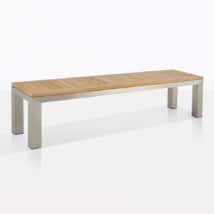 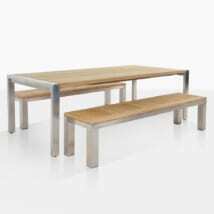 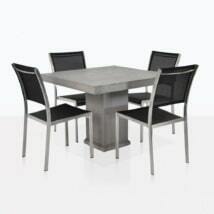 Uniquely urban and charmingly contemporary, welcome to our huge range of outdoor furniture featuring stainless steel! 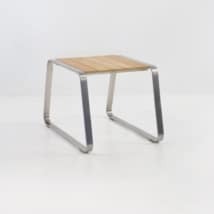 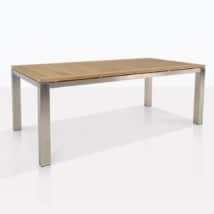 Teak Warehouse uses Stainless steel of 316 marine grade quality for a variety of purposes: great looks, excellent wear capabilities, corrosion resistance and the stark but beautiful contrast that this high grade stainless alloy presents when paired with our other material selections. 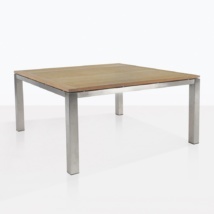 Cleaning stainless steel is easy as well. Teak Warehouse is proud to bring you a fantastic selection of stainless steel outdoor furniture, suitable for your deck, patio, garden, by the pool, or on the porch! 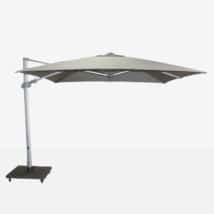 We have every thing you need to be comfortable outdoors. 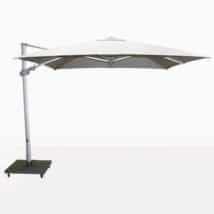 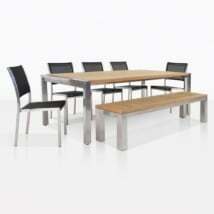 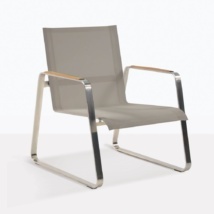 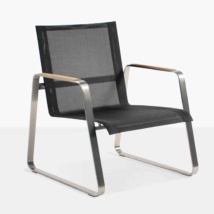 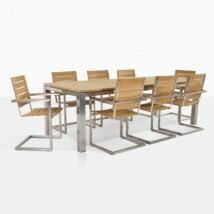 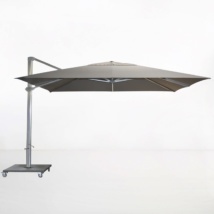 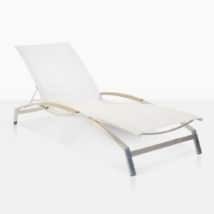 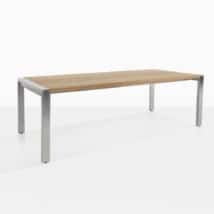 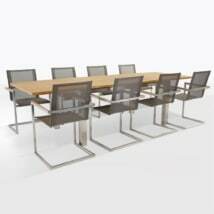 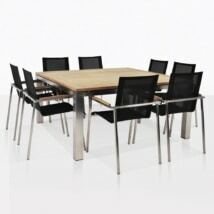 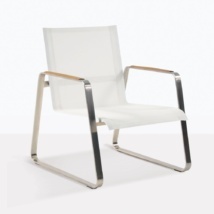 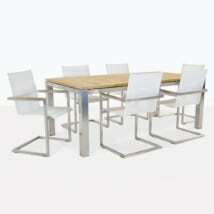 In our stainless steel furniture selections you will find dining tables and chairs, sun loungers, and umbrellas. 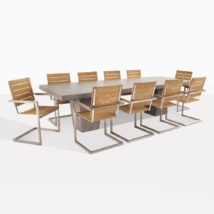 At Teak Warehouse, our sales staff are experts in helping people finding the right look for them. 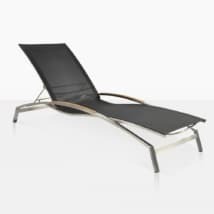 So whether you’re interested in dining chairs or table, sun loungers, deep seating, or even accessories, we can help you find the items to transform your space into a divine, welcoming and relaxing setting that is special to you! 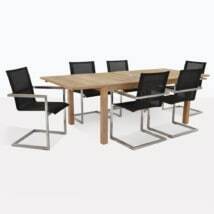 Teak Warehouse is open 7 days for all your furniture needs – we have huge showrooms so that you can experience our amazing furniture for yourselves! Our website is comprehensive and our sales staff knowledgeable, call us today to discuss anything from our incredible range of stainless steel patio furniture.